Congratulations, you’re building a new home! You are about to embark on an exciting, stressful, and ultimately rewarding journey. 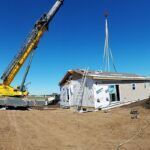 While new home construction is a lot of fun at times, it definitely has its share of challenges. At Next Modular, we work hard to give you the best experience we can. So, we thought we would share our insight on the challenges you can expect during this process. The old adage, “stuff” happens, couldn’t be truer when we’re talking about new construction! There WILL be “hiccups,” or “bumps in the road,” as they say. Maybe the factory forgot to install a cabinet, or a subcontractor backs his excavator into the side of the home. Perhaps the health department delays everything for 8 weeks while we wait on the septic permit. The most important thing to remember is that at the end of the day it’s all going to work out; we are on your team! We are going to make sure the cabinet gets installed, the damage gets fixed, and we’ll push the schedule along as fast as we can. However, the fact remains that these sorts of things happen. Also don’t forget: your home is covered by our industry-leading warranty (see your Build Contract for details), and we also offer additional optional third-party warranties if you want to further protect your investment. We do our very best to give you an accurate estimate of the time to build your home. 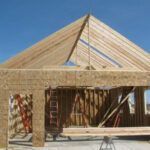 There are a lot of moving parts when building a new home, however, and some of those are really tough to predict. We can have delays due to weather, subcontractor schedules, permits taking a long time to come back, or the like. Hang in there, we are working hard to push things along! Patience is key to this process. One surprising reality about new construction is that it can be a MESS! Miscellaneous off-cuts of lumber, siding, and random bits of trash are common. Your lawn will also look like a minefield before the rough grade is completed. Inside the home, there will be boxes of stuff, rolls of carpet, miscellaneous materials and possibly some trash from a messy sub. At Next Modular, we are committed to keeping a tidy construction site, so we work hard to achieve this, but it’s like cleaning up after your kids: it’s an ongoing chore! Rest assured that you will not have to move into your new home with that trash pile in the backyard. When you build with us, we incorporate estimates for all the site work (foundation, well, septic, etc) into your contract. These estimates are based on our extensive and currently relevant market experience and most of the time are quite accurate. That said, if unforeseen issues occur or change orders are made, there is always the possibility of a cost overrun. This is why we build a “contingency amount” into your contract. Building a new home is exciting, and it’s totally normal to want everything to be perfect! Little dings and scratches are to be expected though, and you can rest assured that we will take care of any deficiencies. In fact, most of the little things you will notice on the day your home is set will be taken care of as part of our normal finish routine, so try not to stress too much. Furthermore, we will always do a final walk-through with you once the finish guys are out, and at that time we’ll put together a “punch-list” of little odds and ends that need finishing, fixed, or touched up before you move in. We want you to love your new home! It’s important for you to know what you’re signing, so please read your contract carefully and make sure you understand what’s expected of both you and us regarding the timing of the build, the timing of payments, insurance needs, the risk of walking around a construction site, etc. Never hesitate to call your personal project manager or salesperson if you have any questions. We are highly experienced and happy to give you a clear, expert answer or explanation for any concern you have. Remember, there’s no such thing as a dumb question! Think of it this way: if we were able to get all the subcontractors working on your home at the same time, non-stop, and immediately after it was set, we’d be able to finish everything in about 2 weeks! Unfortunately, this is not realistic, which is why we estimate overall build times the way we do. Whew! If it sounds like building a new home can have its share of challenges, you’re right! However, the most important thing to remember as we’re working through this process together is…. In the End, You will Have a Beautiful New Home! When the dust settles and the furniture is moved, you will have a beautiful new home! Our happiest customers at the end of the day are consistently the ones who keep a positive attitude and are able to roll with the punches. Their home building projects had all the normal (and sometimes worse!) “bumps in the road” like any other project, but they kept the right perspective and had a smile on their face at the end of the day. Don’t sweat the small stuff – we’ll touch it up! Don’t sweat the big stuff – we’ll take care of it! Practice patience – we work hard to keep things moving! Stay positive – in the end, it’ll all work out! At Next Modular, we know that choosing a home is likely one of the most important financial decisions you will make. As an experienced modular home builder, we are committed to being your guiding light throughout this process. 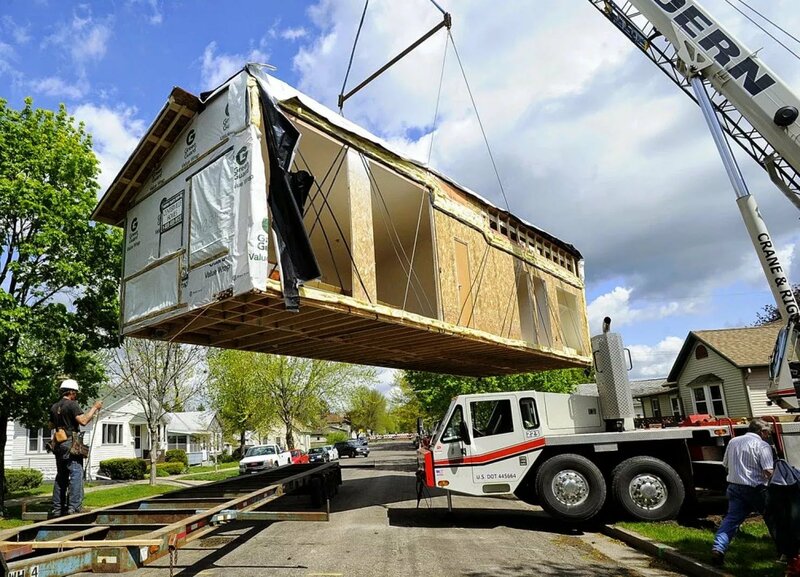 If you need a Modular Home built near Goshen, Indiana, or if you have any further questions regarding the modular home construction process, please call us today.